The function of JACRA is to set quality standards, provide quality assurance and certification services, and govern the trading in the coconut industry in Jamaica. Required for the exportation of mature coconuts (i.e. dry or water coconuts) and coconut products. Required for persons who intend to import coconut, coconut products or substitutes. To apply for licensing and get information on fees, click here. Permits are required to import and release/clear coconut products into Jamaica. Quantity (units, packs or cases). Please note that where product is packaged in cases/packs, the quantity per case/pack is required. The permit number and the date issued. It is a condition precedent that before a release permit is issued, the importer will be required to pay cess (if any) on the imported goods. 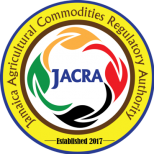 The cess will be calculated at the point the request for the release permit is made, and communicated to the importer, who can elect to pay directly at the JACRA office, or by direct deposit.